Bukit Lawang is one of the top destinations in Sumatra, Bukit Lawang is a small village on the edge of Gunung Leuser National Park located in North Sumatra. Bukit Lawang means Gateway to the Hills. 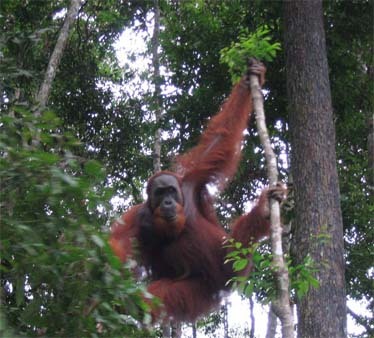 Bukit Lawang is famous for the Bohorok Rehabilitation Centre now known as the Orangutan Centre. The Gunung Leuser National Park is home to Orangutan, Thomas Leaf monkeys, Black Gibbons, White Handed Gibbons, the Sumatran Tiger, Sumatran elephants, clouded leopards, marbled cat, crocodile, sun bear and the Sumatran Rhinoceros. 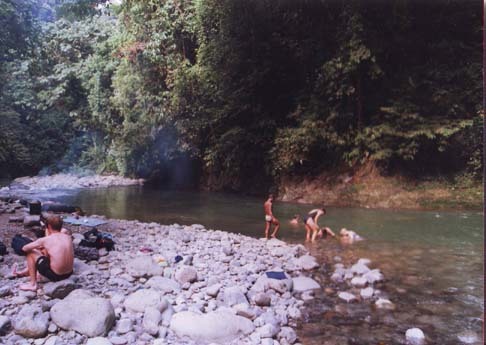 Bukit Lawang is 68 km from Medan. A bus trip will take around 3 - 4 hours. The road from Binjai to Bukit Lawang is the worst it has been in 10 years. The good news is that in Dec 2008 they started extensive repairs to the road, resurfacing it in many places. 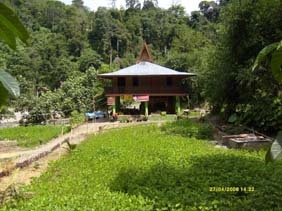 At the top of the village of Bukit Lawang is the Bohorok Rehabilitation Centre which has not operated since the flood. They still have a few orangutan in their care but no new animals are brought in for rehabilitation. There are 2 feeding sessions each day (8am and 3pm) open to the public where you have a good chance of the seeing some the orangutan that have been released to the wild. They often come back for an easy feed. You will need to get a permit to enter the National Park. Ask in your hotel as they can arrange the permit, you can arrange it yourself at the PHPA office at the beginning of Bukit Lawang or you can pay for your permit when you cross the river at the Orangutan Centre. Permit costs 20,000Rp plus you have to pay an extra 50,000Rp for a camera permit or 150,000Rp for a professional video camera. 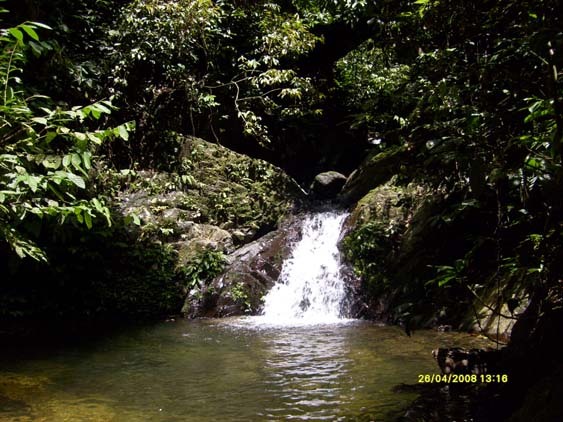 The best way to experience the jungle is to go trekking. You can arrange 3 hours trekking, 6 hours or 1, 2, 3 days or more with the chance of spotting various wildlife as well as some beautiful spots like waterfalls and swimming holes. 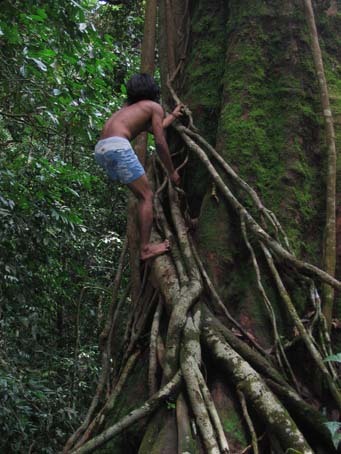 The guides in Bukit Lawang need to be certified with the local PHPA office and need to renew their license each year. The guides will generally find you as they are always hunting tourists. Many of the current trekking guides have come from other areas of Sumatra and learned to be guides. Cost for trekking is 75 Euros per night per person. This includes your food and coming back via tubing down the river. You can arrange for a half day trek, up to 4 hours for 25 Euros per person or a 6 hour trek for 35 Euros per person. 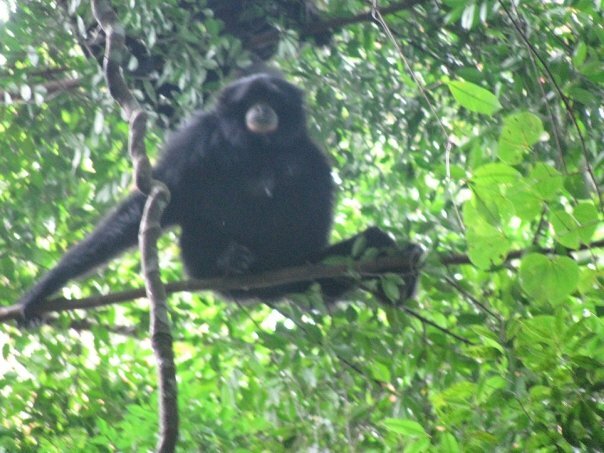 We now have package tours available for trips to Bukit Lawang from Medan. For more details on the tours check out our Bukit Lawang Tours page. 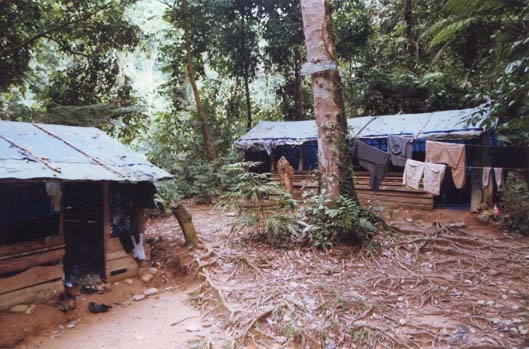 The guides have various campsites setup throughout the jungle, generally next to the river. Usually with small covered shelters which protect from rain during the night. 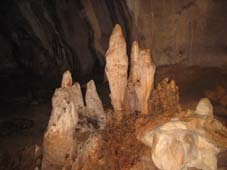 A short walk from Bukit Lawang is a bat cave. Cross the suspension bridge to Eco-Lodge Hotel and then turn left. Follow the trail for a pleasant 15 minute walk past corn fields and there is a small sign pointing you to the bat cave. Admission fee to enter the cave is 5000Rp. Tubing can be easily arranged along the Bohorok river as many of the hotels hire out inflated truck inner tube tires. Be warned that many people have encountered problems. The river runs quite fast along the village and the river can rise very quickly when it has been raining. If you are interested in learning to cook some Indonesian dishes, Nora at Rainforest Guesthouses holds cooking classes for 100,000Rp. The classes will teach you how to prepare a 3 course meal, entry, main and desert. A selection of dishes are available for you to select. 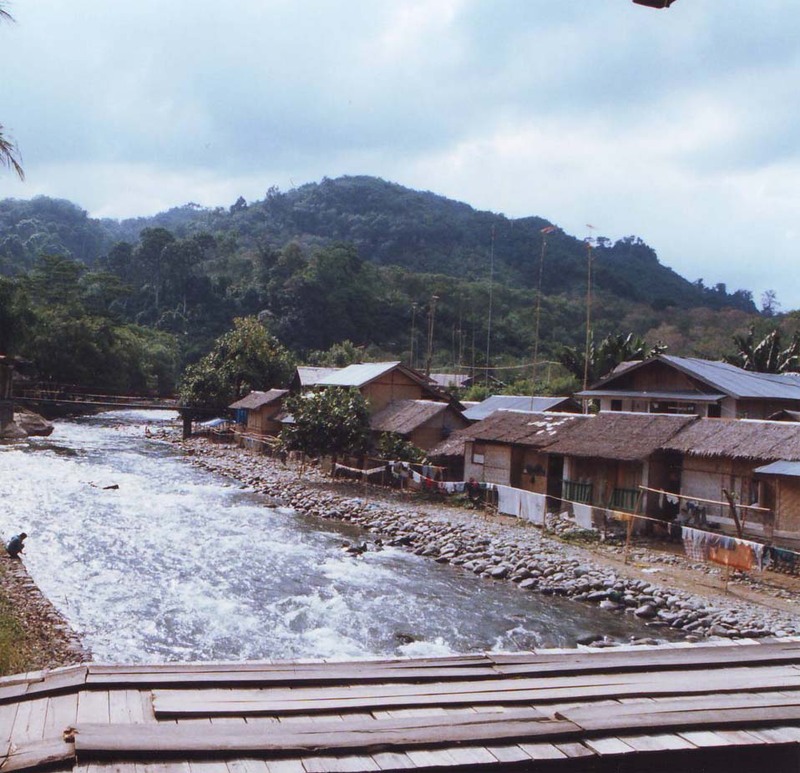 On Nov 2 2003, Bukit Lawang experienced a flash flood that destroyed most of the village and killed over 200 people. The village along the river was hit by a 30 foot wall of water, mud and trees coming down from the jungle. Illegal logging has been rumored to be the cause of the flood although Indonesian Government officials deny this. Accommodation has been rebuilt now although there are probably half the hotels that there used to be. There is a small internet cafe in the village of Bukit Lawang. There are no telephone offices like Wartel in Bukit Lawang. The closest of these services is in Bohorok, 10km away. There are no ATMs, bank services or money transfer offices like Western Union. Again the closest of these are Bohorok 10km away or Binjai - over 2 hours by bus. Some money changers have started appearing again in Bukit Lawang although the exchange rate will be lower than you can get in the larger cities like Medan. Sam's Bungalows do money exchange. If you would like a car to collect you from your hotel in Medan or from the airport and be taken to Bukit Lawang click here to contact us. 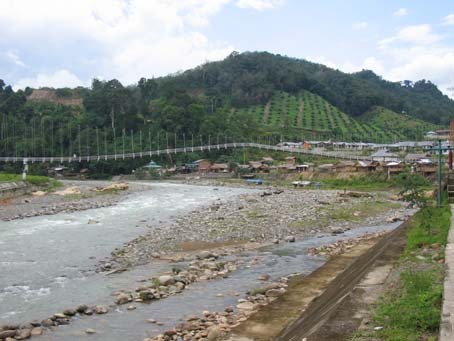 Price is 650,000Rp from a Medan Hotel or 750,000Rp from Medan airport to Bukit Lawang for up to 4 people. This is a quicker, safer trip of under 3 hours from your hotel or the airport. The vehicle used is a new air-conditioned Toyota Innova. Accommodation is very easy to arrange when you arrive in Bukit Lawang except in the busy tourist season (June - August). 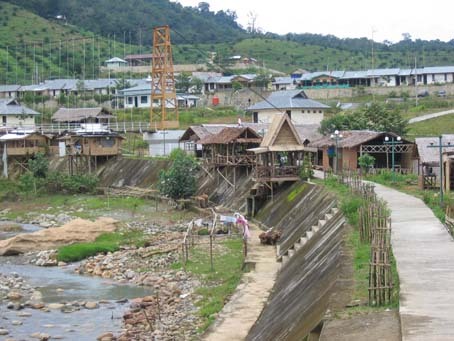 Local people from Medan flood into Bukit Lawang on weekends, starting Friday night so accommodation may be more difficult to find but generally there are still rooms available. Following is a list of accommodation (hotels and guesthouses) in Bukit Lawang including room rates, contact details and hotel reviews from other travelers. Sam's Bungalows (6 reviews) has 3 rooms. 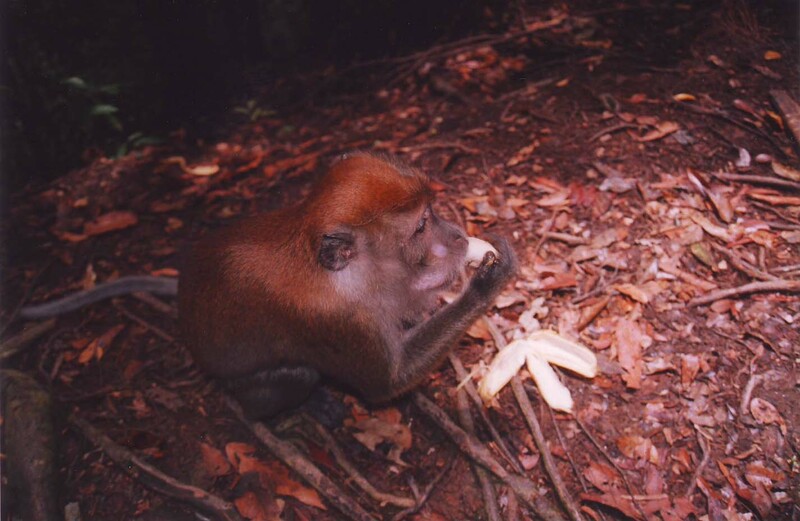 Located right at the top end of Bukit Lawang close to the Orangutan centre. Prices are 80,000Rp, 150,000Rp and 180,000Rp. For pictures and contact details click here. Jungle Inn (7 reviews) has 9 rooms all with different jungle designs ranging from 250,000Rp - 500,000Rp per night. Prices may go up during the high season (June - August) For pictures and contact details click here. Eco-Lodge (6 reviews) is one of the best places to stay in Bukit Lawang with 34 rooms with 5 different styles including their brand new Orangutan rooms. From 155,000Rp - 300,000Rp per night. For pictures and contact details click here. Garden Inn and Restaurant (1 review) has 7 rooms and one house with rooms between 35,000Rp - 50,000Rp and the house for 200,000Rp per night. For pictures and contact details click here. Rainforest Guesthouse, (5 reviews) run by the fabulous Nora Rainforest Guesthouse is located just next to the camping ground and opened in April 2008. Room prices from 40,000 For pictures, prices and contact details click here. 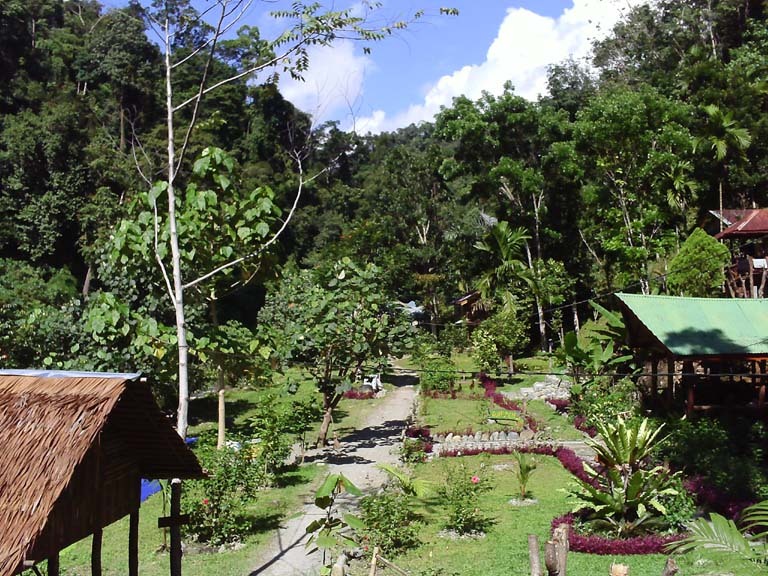 Nora's Homestay (1 review) also run by the fabulous Nora, is located off the main road running into Bukit Lawang. Prices start from 30,000Rp per night. For pictures and contact details click here. Wisma Leuser Sibayak (1 review) prices starting from 35,000Rp. For pictures, prices and contact details click here. Rindu Alam Hotel is located right at the bottom end of Bukit Lawang as you first enter the village. They have 40 standard rooms and 4 family rooms. Room prices start from 250,000Rp. For pictures, prices and contact details click here. Bukit Lawang Indah Hotel (4 reviews) is right next door to Yusman Guest House. Prices start from 30,000Rp. For pictures and prices click here.